Join the High School Academic Decathlon Qualifying – Contact the coach for more details. The Middle School Pentathlon Group has different Qualifying dates and may not be meeting. Please call the office and ask about details. Click here for all details. You do not have to meet with the study group in order to try out for the team. 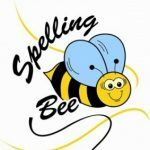 The Region A IDEA 2019 Spelling Bee is scheduled for February 4th from 1:00 to 3:00 PM at the IDEA Anchorage Office. Participation is open to all 3rd thru 8th grade Region A IDEA students. To learn more details and to sign up, please click here and log on to the family side of the website. 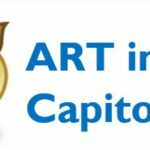 The deadline for art to be dropped off or arrive by mail in the Wasilla Office is February 5, 2019. Click here and log into the IDEA website to learn all details and access forms that must accompany your student’s art. .